Marybeth Priore Mantharam focuses her time primarily on the defense of products liability actions. In particular, she defends the world's largest aerial work platform manufacturer and the leading manufacturer of specialty trucks. Marybeth handles products liability cases in state and federal courts located throughout the United States, and represents other manufacturers, sellers and distributors locally in claims of defective products. Every year since 2013, Marybeth has named an Upstate New York Super Lawyer for Personal Injury - Products Defense. In addition, in 2016, Marybeth was named the Best Products Liability Defense Lawyer in Upstate New York by Corporate News America. 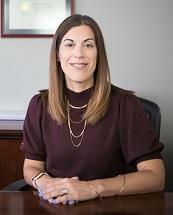 Marybeth also represents clients in other civil litigation matters. She spends considerable time on complex commercial matters and contract disputes, and has successfully defended businesses and municipalities in personal injury and premises liability actions. Marybeth also practices intellectual property law, with a focus on trademark protection. She counsels clients on securing, maintaining and enforcing trademark registrations, and actively litigates infringement cases. Marybeth is a Past President of the Women's Bar Association of the State of New York, Western New York Chapter, and served six years on the organization’s board of directors. She also is a member of the Bar Association of Erie County and the New York State Bar Association. Marybeth is admitted to the bars of the states of New York and Illinois and is admitted to federal courts in New York, Pennsylvania, Illinois and Michigan. Marybeth resides in East Amherst, New York with her husband and two daughters.